When copy alone isn’t enough, ask Mel to give your brand an injection of new life. It begins with a chat about your business and the reasons why you feel the words aren’t doing it justice. What does your brand really stand for and what’s the best way to get that across? From there we’ll make plan, and Mel will work with you on the best way to make a change. Sometimes just asking the right questions is enough. Or we might decide to run a workshop with your whole team to get to the heart of why everyone wants to work there…not the money, not the fancy offices or free fruit, but the real purpose that drives them to give something of themselves to the job. For the first eight years, Mel wrote every word that went to customers of this premium food retailer. By then it had grown from nothing to a multi-million pound business. Mel encouraged Donald Russell to develop a single-minded positioning based on the delicious taste of all of its products. This was given meaning by creating a unique ‘You’ve never tasted better’ guarantee. 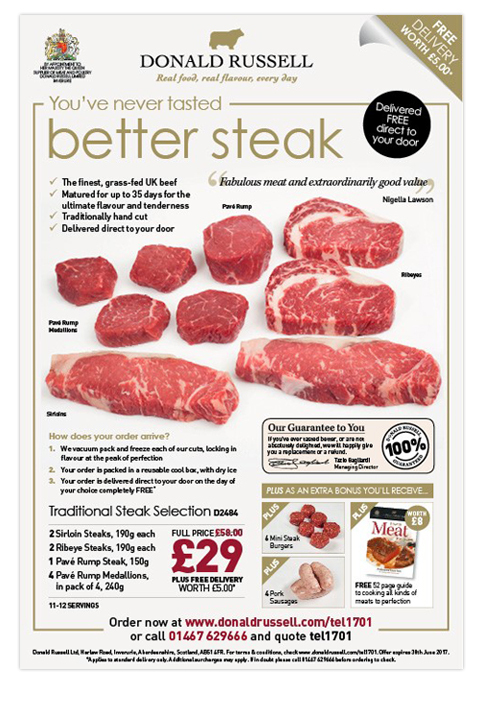 The strategy is still being used today, twenty years after Mel first wrote the lines that have sold a million steaks. ORESA recruits board members for global retailers. 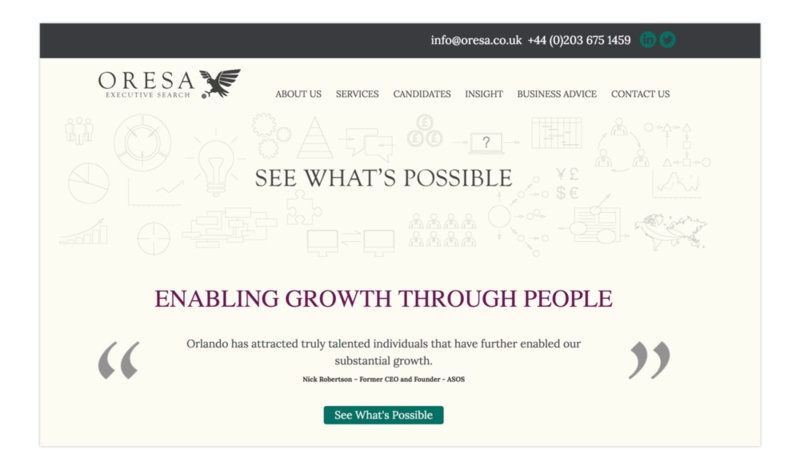 As a small company competing against giant recruitment consultancies, ORESA needed to stand out. We started talking, and through focused questions and careful listening, a point of difference became apparent. Clients bought the service because ORESA was placing people who shaped the future of the company. The resulting strapline, “See What’s Possible” came from a quote by one of the clients. In a sea of competitors talking about ‘excellence’ , ‘talent’ and ‘performance’ ORESA’s focus on the end benefit was a beacon of light. As a newcomer in the competitive world of ticket sales for theatre and events, Family Tickets needed a unique positioning. To fully understand the market, Mel attended the brand research debrief, and listened to the staff talking about the best part of their job – helping to find the right event for a family group to make sure they will have a fantastic time together. Mel worked with the client to develop a mission, vision and positioning. The strapline ‘Memories Start Here’ expresses the feeling everyone has after a wonderful day out, and hints at the promise to the consumer.